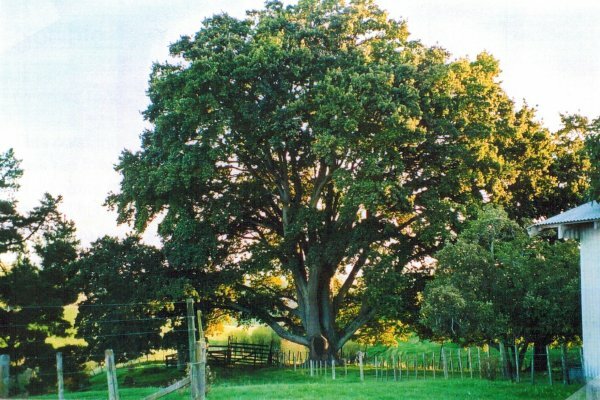 This outstanding oak is highly visible at the top of a hill. The land was purchased in 1858 from a larger station called 'Abbotsford' and divided into two farms, one called 'Milbourne' and the other 'The Brow'. These two smaller stations were run together. The first homestead was built in 1888 but there have been many other dwellings on the site before this. 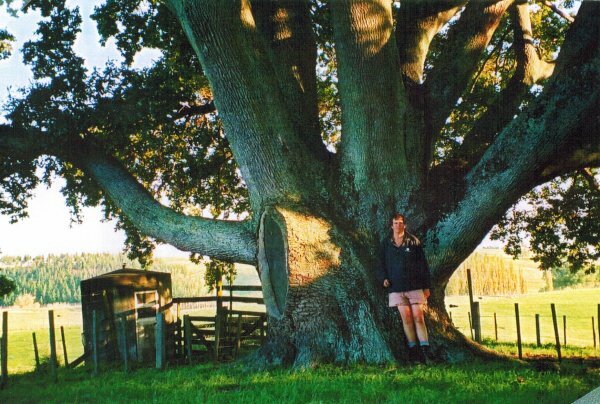 The tree and gardens are thought to have been planted at the time the homestead was built. The tree is the last of 4 trees planted in each corner of the original homestead grounds. (Bishop 2003). Located in the 'house paddock' near the house (the map marker may not be accurate).